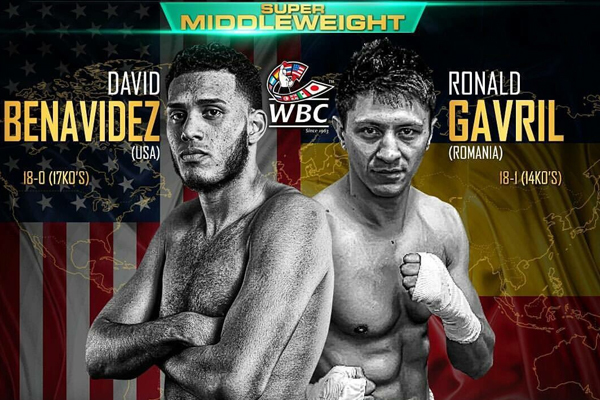 Friday night in Las Vegas, undefeated David Benavidez will face once-beaten Ronald Gavril for the vacant WBC super middleweight title. Yet again, alphabet-soup insanity is on display. Gavril is` a Romanian native who now lives in Vegas and is promoted by Floyd Mayweather. He compiled a nice amateur record of 165-15, but as a professional he has defeated absolutely nobody of note. His list of opponents is obscure enough that I cannot even offer an opinion on what his “best win” would be. His loss came against journeyman Elvin Ayala. But the WBC expects us to accept him as a world-title challenger. I will say this: Gavril is hardly the least qualified fighter I have ever seen in a “world title” fight. He probably won’t be the least qualified this year. But he is hardly qualified. Once upon a time, boxers had to grind away for years to earn a world title fight. Then again, once upon a time, calling something a “world title fight” actually meant something. Benavidez is probably the most exciting fighter in the sport under age 21. Still not old enough to legally drink, he has already compiled a record of 18-0 with 17 KOs. He stopped Rogelio Medina last May–a very tough veteran who knocked out J’Leon Love and gave James DeGale a tough night of work. Benavidez battered him–dropping him in Rounds 6, 7 and 8. After the third knockdown, the ref waved off the count. Still, Benavidez hasn’t really done enough to earn a world-title fight, either. Then again, this isn’t really a world-title fight. It’s a bout with an alphabet-soup trinket up for grabs. I have little doubt that Benavidez will win this fight. And if we are going to have alphabet-soup trinkets, Benavidez is the kind of fighter who can benefit from having one around his waist. It is a good step towards putting him into the kind of truly meaningful fights.